It’s a tale with age-old contours. 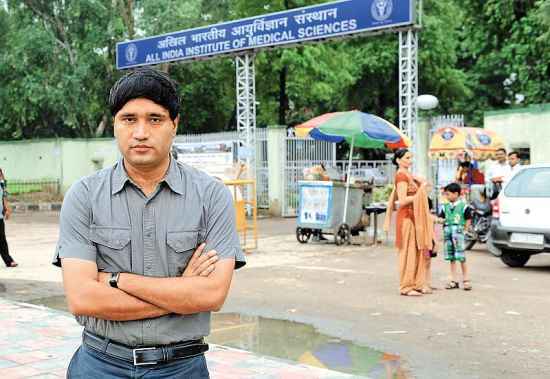 Sanjiv Chaturvedi, the upright junior officer of the Indian Forest Service who the government of Haryana hounded for the last five years, can work in peace. His fight against corruption, and the vindictiveness of the politico-bureaucratic set-up, is now a case study for trainees at three premier academies for civil servants and police officers. This, even as the state government tries its best to prevent a CBI probe into a ‘fake plantation scam’ Chaturvedi unearthed. Chaturvedi has been transferred 12 times in the six years of his service, has had three ‘bogus’ FIRs lodged against him, faced four inquiries by the Vigilance Bureau, as well as a suspension and a chargesheet under major penalty, which leads to dismissal from service. Today, when the much-feted Chaturvedi lectures trainee officers on ‘Anti-Corruption Strategies’, he feels vindicated. Chaturvedi was ranked second in the IFS examination and won two special medals for excellence while on training. His nightmare began when, at his first posting in Kurukshetra, he registered an FIR against contractors working on the construction of the Hansi Butana canal near the Saraswati Wild Life Sanctuary for poaching rare species of hog deer. He also objected to the illegal transportation, destruction of habitat and felling of trees. He drew the attention of his superiors to the 2000 Supreme Court order that prohibits digging canals within a sanctuary without its clearance. For his pains, Chaturvedi was transferred to Fatehabad and served a severe warning by the principal secretary, forests. In August 2007, on the same issue, a proposal for placing him under suspension was moved on grounds of “insubordination”. Curiously, after Chaturvedi was suspended, the Haryana forest department sanctioned prosecution of the violators based on the damage reports filed by him. A Delhi-based NGO, Wildlife Trust of India, moved the SC over rules being flouted inside the sanctuary. When the violations were proved, the state government hastily deposited Rs 1 crore for conservation works, before the central empowered committee of the SC could impose a penalty. Haryana spent Rs 2.21 crore from the public exchequer on lawyers to protect the violators. Even after Sanjiv’s suspension, the Haryana forest department decided to prosecute violators on the basis of his reports. All this couldn’t dent Chaturvedi’s righteous spirit. He next exposed large-scale bungling worth crores in plantation projects funded by the Centre and international agencies at Hissar and Jhajjar. Almost the entire field staff of the Jhajjar forest division was chargesheeted on the basis of his evidence. The scandal upset MP Deepender Hooda (Jhajjar is in his constituency), Haryana CM Bhupinder Singh Hooda’s son, as it exploded in the midst of the 2009 Lok Sabha campaign. Chaturvedi was chargesheeted, but was cleared by a rare intervention by the President and the cabinet secretariat in January 2011. He then applied for central deputation. “I was advised by well-meaning people that if I did not move out from Haryana, the government would finish my career,” he says. After a vengeful Haryana refused to relieve him for a year, an order from the ministry of forests and environment in May this year overruled it, which enabled Chaturvedi to move to Delhi, where he is the deputy director at the All India Institute of Medical Sciences. Chaturvedi’s crusade against corruption wrecked his personal life—he went through a divorce. But his biggest reward in this journey through purgatory was the knowledge that “contrary to the perception that states have total power over officers of all-India services, the All India Service rules provide statutory protection for us against the kind of intimidation I faced.” Chaturvedi’s presentation on that, as exemplified by his own story, got a standing ovation at the IAS training academy at Mussoorie last month. Though Chaturvedi is permitting himself to smile once again, his story shows potential whistle-blowers like him have a bruising battle ahead of them.